As I have mentioned in a previous post…I have changed schools and grades this year! After only a short time in my new position I can already see how this change has been impacting me as a teacher and as a learner. I’m in a teaching position where I have the opportunity to work closely with two other teachers as part of the 3/4 Team as well as a full time Inquiry Support Teacher and a half time Art and Outdoor Education Teacher. How lucky am I?! I feel that as a team we are able to accomplish so much more than I’ve ever been able to as a solo teacher. 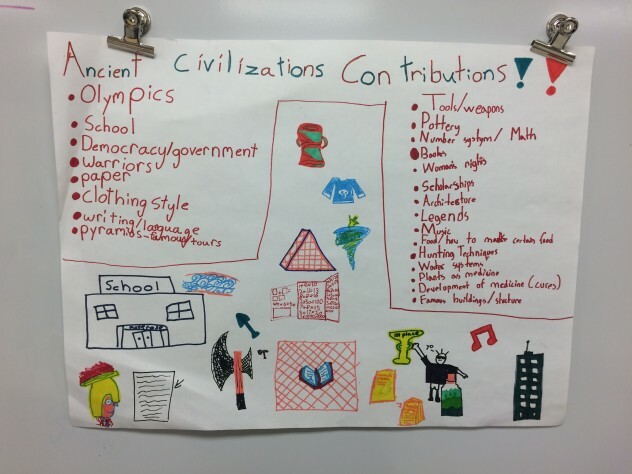 Over the past 6 weeks (ish) we have been doing an inquiry project on Ancient Civilizations. My class (along with the other two 3/4 classes) have been so engaged during this inquiry process. We have committed to five days out of the school cycle for at least an hour a day to work on Ancient Civilizations. It may seem like a big commitment, but we cover so many outcomes from the curriculum in such a natural way (Social Studies, Science, ELA, etc.) 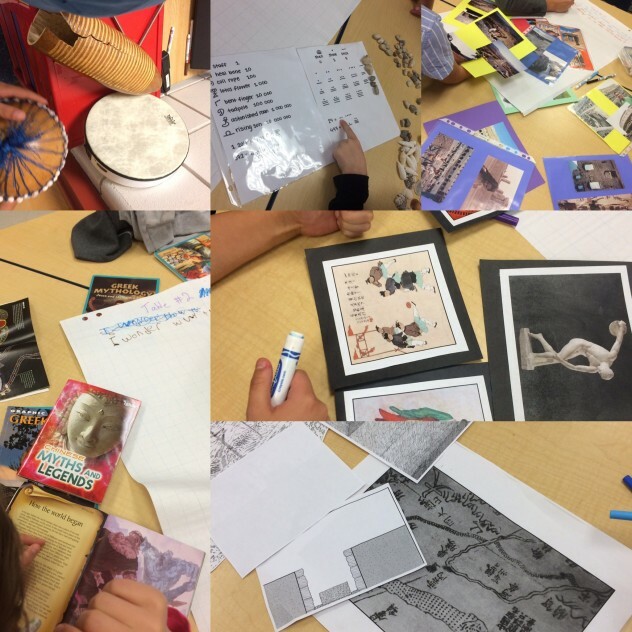 So far we have done a provocation day where the students got excited about the idea of Ancient Civilizations and started to ask questions about their wonderings, ideas, what they noticed, what they wanted to know more about. This was done through stations of music, books, number systems, art, leisure activities, architecture and photographs of teachers who had been to visit places with Ancient landmarks. At every station there was a chart paper where students could write down their questions. After this provocation day and time spent looking at books, watching videos and thinking about what they wanted to know more about, the students made a list of their top 5 choices for research and were grouped accordingly. We wanted the class to work in small groups/partners so they could really communicate and collaborate with each other. Once they were in their groups and had their topic of interest we started with some research online and in books. Things were progressing nicely but then our plans changed! 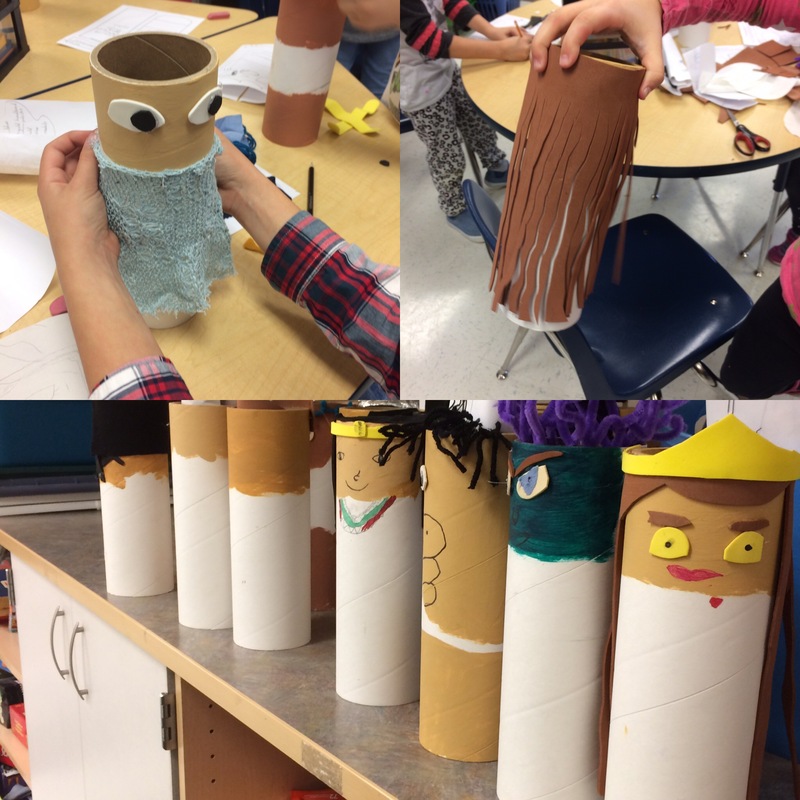 Our inquiry support teacher found an idea from other teacher and we decided to add in come creativity to our projects! The students made “Tube People” based on the topic/civilization they had chosen. The tubes were from ArtsJunktion and they were perfect for this project! 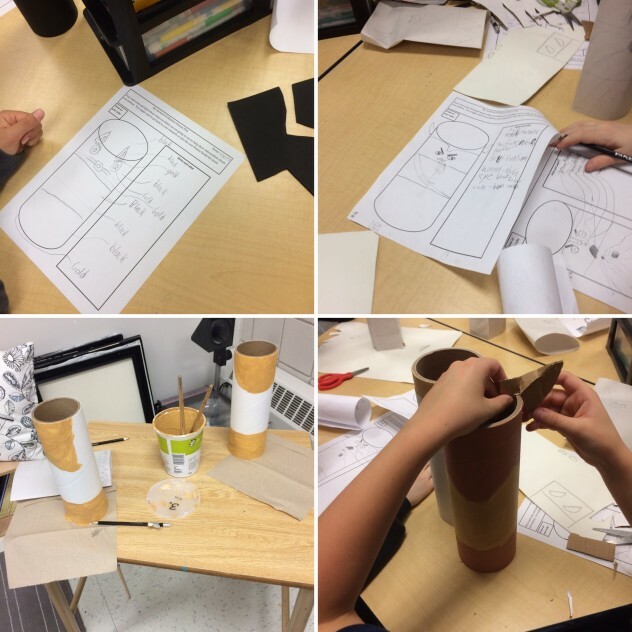 We definitely used the 4Cs throughout the project and really tried to learn from the process and not only see it as a final product. We aren’t finished learning about Ancient Civilizations. The mindset of being flexible and open to change of plans has developed into a really great side project. We also have some pretty excited students (in our 3 classes and students from around the school), parents and staff members. Slowing things down, finding out what the students are interested in, using a variety of teaching and learning styles, enjoying the process, including student voice and choice, reflecting, making changes, communicating, collaborating, thinking critically, showing creativity… are all things that we’ve been doing for weeks now and there is no way we intend to teach differently in the next topic we study! Contributions from Ancient Civilizations that impact how we live now! To us…this is a unit that we could sell tickets for, and we aren’t finished learning yet! 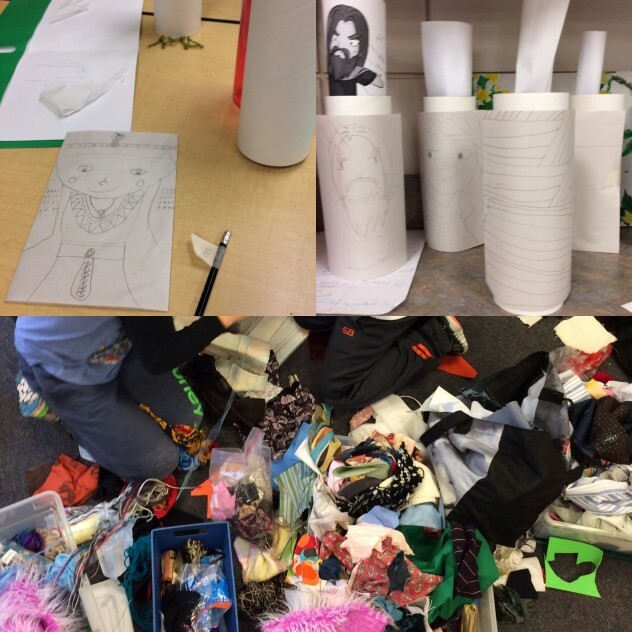 This entry was posted in 2016-2017, Collaboration, Engagement, Inclusion and tagged Ancient Civilizations, Collaboration, Communication, Creativity, Critical Thinking, Inquiry on November 19, 2016 by dshrumm.